You don't ever want your clothes dryer to damage your clothes. 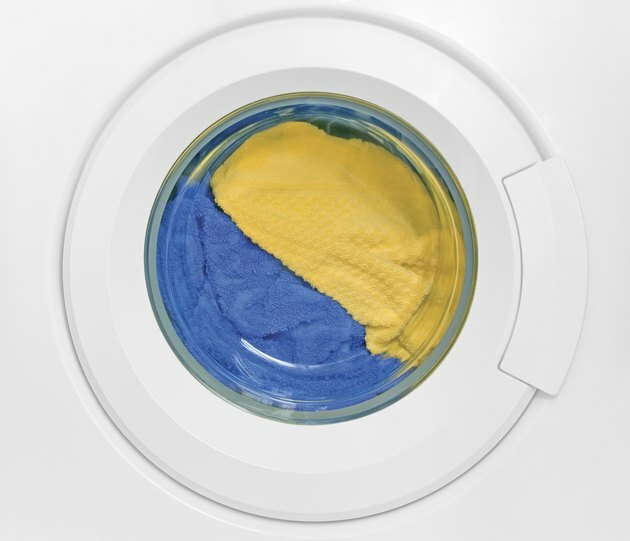 If you put your newly cleaned clothes from your washing machine into the dryer, they should come out free of black marks. If they don't, it's because your clothes are either becoming caught on something inside or are being scorched by your dryer, and sometimes both. Troubleshoot the issue to identify the problem. A baffle is a metal or plastic divider located on the side of the drum. Most clothes dryers have at least two baffles that help keep clothes separated while they tumble. Although a baffle is generally sturdy, it's possible for it to crack or splinter. If this occurs, an article of clothing can become snagged by the rough edge. Depending on where the clothing gets hung up, hot air can blow directly on it, creating black burn marks on the fabric. Inspect each baffle on your dryer for damage, and replace it if needed. On the exterior of the drum are small wheels that permit the drum to rotate evenly. If the wheels fail, the drum might slant down slightly, normally at the back, and a gap might appear. Although small, the gap is sometimes wide enough for clothes to get trapped in while they turn in the drum. If a piece of clothing gets into the gap, it can get black marks on it or become creased from the fold. Check the rollers for signs of wear. Switch out the entire set of rollers to completely close any gap that has formed. Gliders are the nylon or plastic protector shields found on the drum's outer edge. They protect the metal drum from rubbing against the metal cabinet as it turns. Over time, gliders can wear, and when they do, it can produce a space at the drum's rear. Depending on how badly a glider has deteriorated, it's possible for clothing to get caught in the space. If this happens, it can become damaged, either marked or torn. Inspect the gliders for defects, and change out the set if they're not in good condition. Even though it's tempting to lubricate components of your clothes dryer to eliminate noise, the lube or grease can get onto your clothing and stain it. Lubrication is rarely a long-term solution for a faulty component. It's better to figure out what part might be producing the noise and replace it.